Few things are as annoying as missing an important email because it got marked as spam and sent to your junk box What Everybody Ought to Know About Dealing With Email Spam What Everybody Ought to Know About Dealing With Email Spam It might be next to impossible to stop spam completely, but it's certainly possible to reduce its flow to a trickle. We outline some of the different measures you can take. Read More before you even had a chance to look at it. It may not happen often, but when it does… ugh. If you use an email account provided by Comcast, you can get around this by whitelisting certain email addresses. Sign into your My XFINITY account. At the top right, click the Mail icon to reach your inbox. Click the Address Book tab. Click New Contact on the left sidebar. Add the sender’s email address. Click Save to save the contact. From now on, emails from this address will never be marked as spam. Pro Tip: If you’re being inundated with spam, you may be making some serious email mistakes Still Getting Spam? 4 Email Mistakes to Avoid Today Still Getting Spam? 4 Email Mistakes to Avoid Today Avoiding spam is impossible. But there are some lesser known tips, tricks, and secrets that can help you fight the battle against suspicious email. Read More that you should be avoiding. 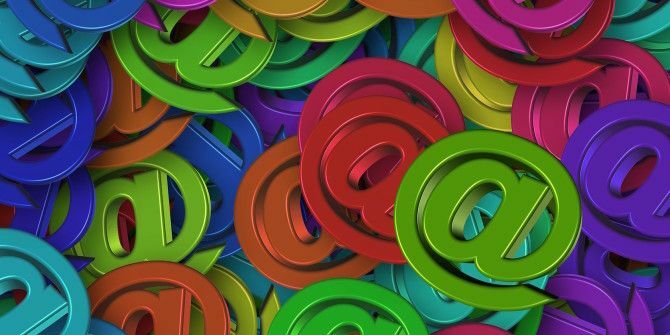 Try practice good email security habits 8 Email Security Tips You Can Share With Friends & Colleagues 8 Email Security Tips You Can Share With Friends & Colleagues Read More from this point forward! Got any questions? Let us know in the comments and we’ll try to help. Hi there. Checking in from the Comcast Email Team. Unfortunately, spam filtering (and therefore whitelisting) is far more complex than what this article covers. Because of this complexity there is no “whitelist.” If a message is flagged as spam by our customers, we will treat it as spam, and simply placing an address in your address book will not bypass spam filtering. We hope this helps clear things up.